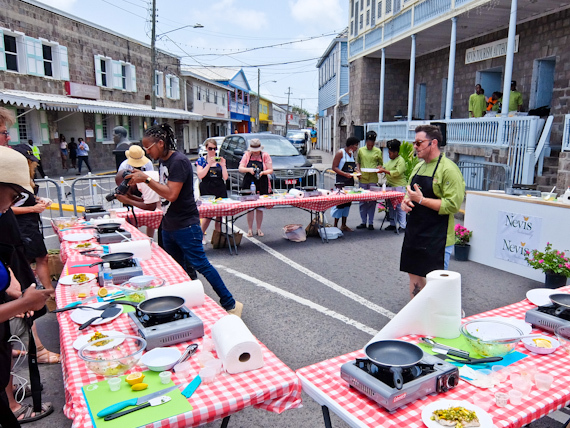 I’m standing in the middle of the main street in Charlestown, the tiny capital of Nevis, with my apron on, facing a frying pan and a collection of ingredients. Curious locals wander past intrigued by what’s going on. 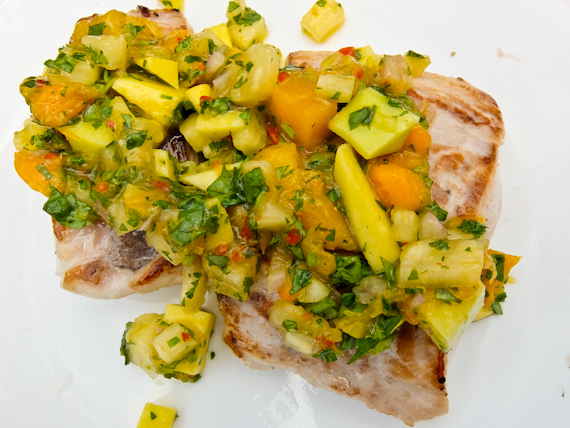 Fortunately, I’m not alone and New York Chef, Seamus Mullen, is directing eight of us to cook Mahi-mahi with mango. We’ve already made the salsa, a mixture of shallots, coriander, chilli, garlic and ripe mango so all that remains is to sear the fish quickly on both sides and then top it with this exotic mix. We then get to eat it, right there in the square. 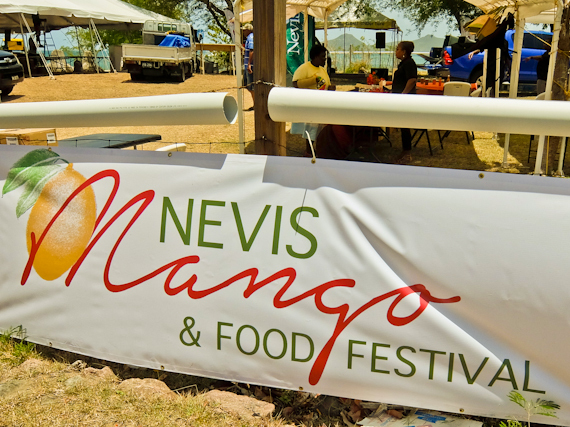 This is just one of the events at the Nevis Mango and Food Festival which takes place over 4 days every year when the fruit ripens. Officially there are over 40 different varieties on the island, although locals say it’s more like a hundred. Even the shape of Nevis looks like a mango. Two other celebrity chefs, Korean Judy Joo from London and Michael Harrison from Barbados, are also giving master classes, and all three offer special dinners. Every dish they cook must contain Nevis mangos. Sunday has the big event with local chefs showing what they can do, a cook-off competition and, best of all, a tasting of over ten varieties. I would be lying if I said I could identify every one, but I liked the (easy to remember) long Mango. Nevis is tiny, just 36 square miles, and is one of the Caribbean Leeward Islands, a ten-minute water taxi ride from its big sister St Kitts. They say Christopher Columbus named it Nuestra Señora de las Nieves because he thought he saw snow on the peak, although it could also have been named by Scottish sailors in honour of their own big mountain. For such a small place, Nevis punches above its weight. The young Horatio Nelson was stationed here and married a plantation owner’s widow Fanny Nisbet under a cottonwood tree. Alexander Hamilton, one of America’s Founding Fathers, was born in Charlestown and got his education from a local Jewish teacher. Mercifully the Four Seasons is the only big name hotel chain here, otherwise much accommodation is in historic plantation homes, all blending into the landscape. The capital is a sleepy little place where a handful of Georgian stone buildings, with breezy balconies and wooden upper floors, dwarf picturesque wooden gingerbread shacks sporting tin roofs. 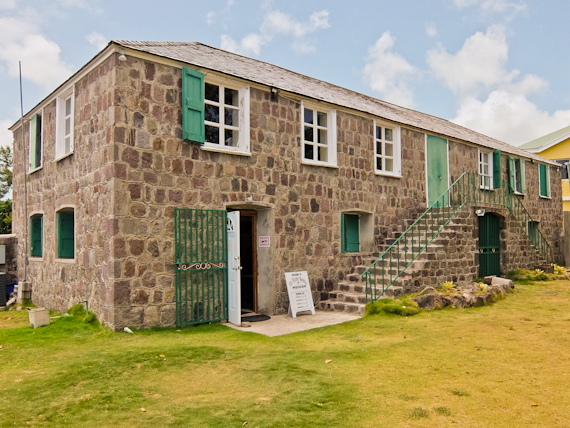 Here you’ll find two museums, each devoted to Nevis’s historical figures – Nelson and Hamilton, the last in the building where he was born in 1757. The Bath Hotel dates from 1778 and was once a playground for the rich and famous who came to Nevis for the therapeutic hot springs. Although the hotel is long closed you can still dip your toes in the thermal pool outside. There’s also a Jewish Cemetery with graves dating back to 1679, piled with pebbles left by visitors, the last symbol of a thriving Jewish community which played a part in the sugar cane plantations. More of a climb than a hike, you need a load of stamina to reach the top of the 3232 foot Peak, actually a long-dormant volcano. 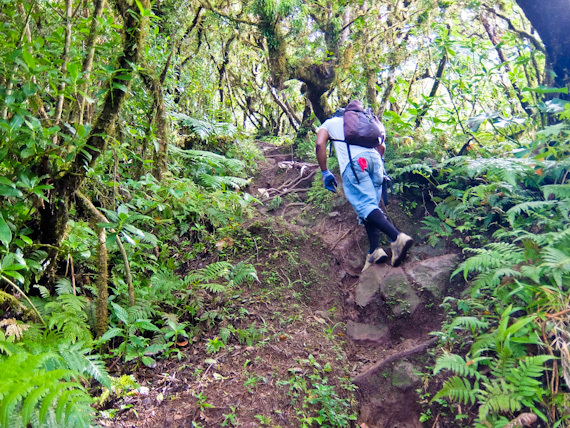 It’s a tough two-hour scramble up its steep slopes to the summit and in places, you have to pull yourself up by ropes, clinging on to roots. If it’s clear, you’ll be rewarded with fantastic views of St Kitts and Montserrat. If this sounds too tough then there are easier trails around the bottom of the mountain. Nevis has around 50 churches to supply the spiritual needs of only around 12,000 people. The 1643 St Thomas’ Church, on a hill in the outskirts of Charlestown, was the first church in Nevis and the oldest Anglican church in the Caribbean. The cemetery has many tombstones bearing names of Nevis’ early settlers. 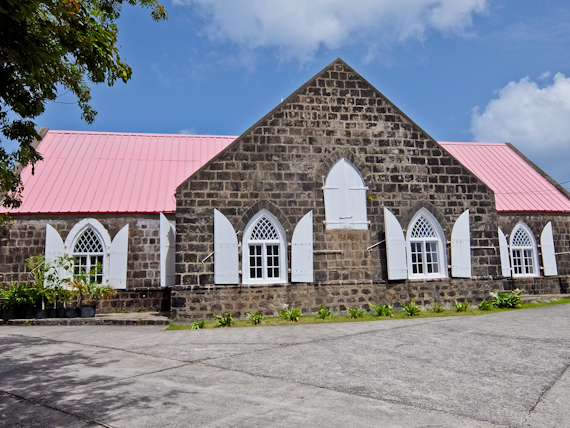 Cottle church was built in 1824 for his slaves by John Cottle, a onetime president of Nevis and a plantation owner. It was never consecrated since it was illegal for slaves to worship. All that remains is a shell, damaged by earthquakes and hurricanes although it’s still a popular site for weddings. 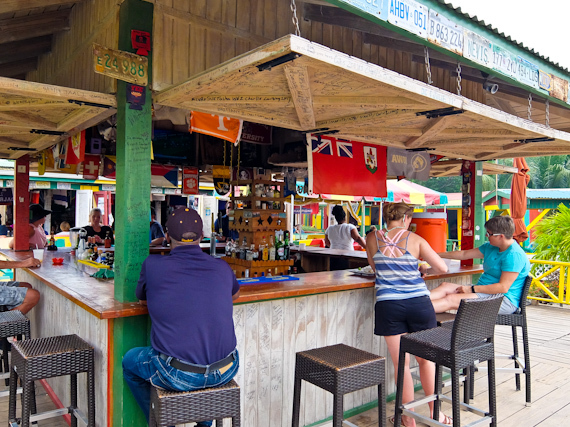 Various hotels arrange Nevis bar crawls, seeking out the places where tourists don’t normally go, where you get to sample the rum and hang out with the locals. 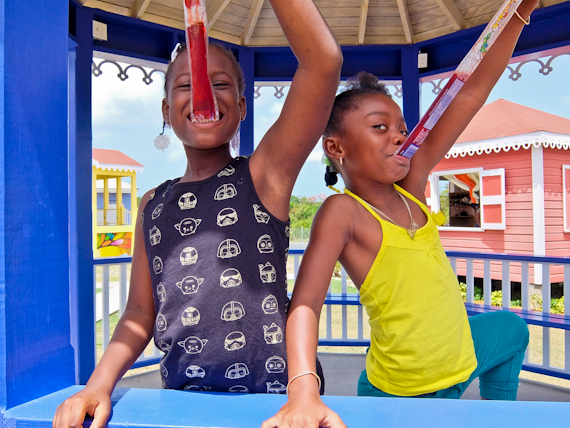 Nisbet Plantation Beach Club has five locations on its tour, but you can drink beer or soft drinks if you’re worried about staying upright. 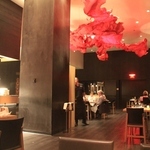 Nevis food is a blend of European, American, with hints of African and Asian. Fish is plentiful, Mahi-mahi, Wahoo and Snapper are favourite. Local delicacies include breadfruit, coconut jelly, tamarind and of course fresh mango. 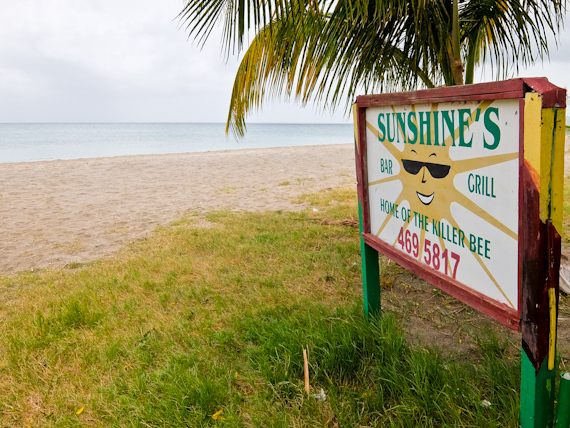 Nevis Naturally has tourist information. 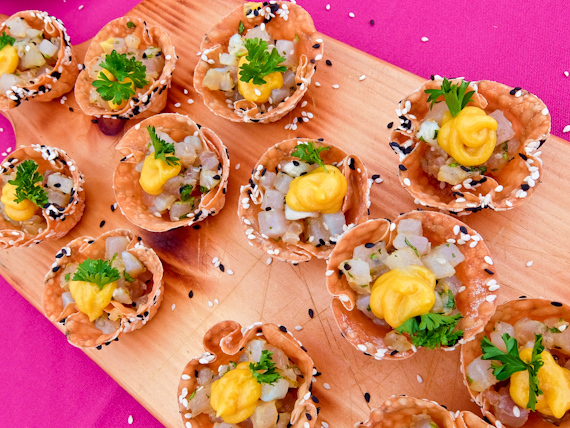 The next Nevis Mango and Food Festival will take place in summer 2019. The Hermitage – oldest wooden house in the Caribbean, serving traditional dishes. Don’t miss their weekly hog roast. Montpelier Plantation Inn – Nelson was married in the garden and it offers stylish cuisine with an Asian twist. Nisbet Great House – the menu changes daily and offers a mixture of Caribbean and International cuisine in the stylish settings of the 1778 Great House. Gin Trap – great location for sampling 101 different gins, while watching the sunset from their terrace. Golden Rock Inn – famous for its lobster salads and sandwiches and its beautiful lush gardens. 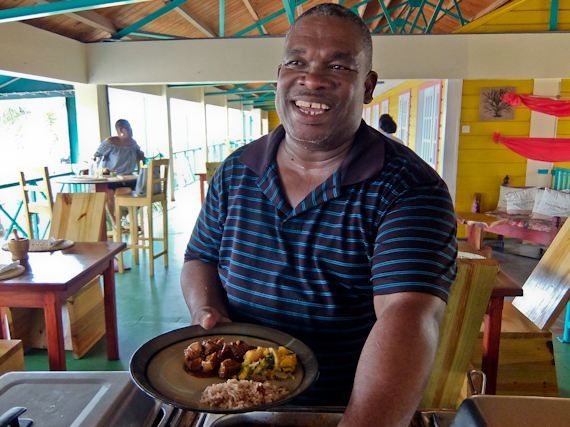 Caribbean Flavorz – authentic local food in the Cotton Ginnery Mall, Charlestown. 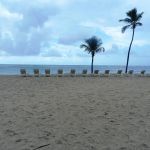 Nisbet Plantation Beach Club is the only plantation hotel to be right on the beach. It’s where Nelson met his future wife, Fanny Nisbet. Accommodation is in roomy self- contained cottages, spaced widely apart, among the massive palms. British Airways flies twice a week from London Gatwick via Antigua to St Kitts. Then it’s a 15-minute water taxi to Nevis. Caribtours (0203 553 7543) offers 7 nights at Nisbet Plantation Beach Club from £1,495 per person based on two adults sharing on a half board basis including return flights, private transfers and airport lounge access.